Chinese Five Spice is widely used in China and other parts of Asia. The dominant flavour comes from star anise with the sweet flavour of cloves and cinnamon that combine to give a sweet tangy profile that works well with rich meats like duck. This exotic and versatile blend is usually used to add sweet but spicy flavour to savoury and sweet dishes. 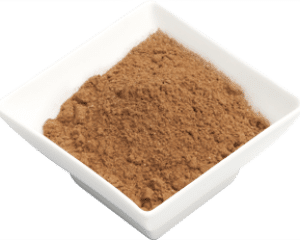 Chinese Five Spice powder is a spice mixture of five spices used primarily in Chinese cuisine but also used in other Asian and Arabic cookery. It is also commonly used in Asian cocktails for a warm spice kick. The dominant flavour comes from star anise with the sweet flavour of cloves and cinnamon that combine to give a sweet tangy profile that works well with rich meats like duck. This exotic and versatile blend is usually used to add sweet but spicy flavour to savoury and sweet dishes. Made from imported and local ingredients including; star anise, fennel, pepper, cinnamon and cloves.